A few weeks ago, The Mother Church’s Church Alive team published a blog on their site from our very own Nate. It’s all about the church retreat we had back in November — why we had a retreat, how it worked, and some of the awesome fruitage we’ve seen since then. If you haven’t seen it yet, take a look! It’s gotten some great feedback so far. Also, the Church Alive page has lots of great church-related food for thought (more like dessert, really). You can visit their page here. 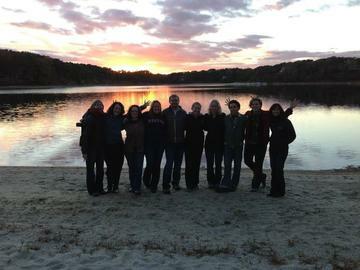 The “retreaties” (most of us) during our November 2012 retreat. Photo by Nate Frederick.